NVIDIA unveiled the credit-card sized module that harnesses the power of machine learning to enable a new generation of smart, autonomous machines that can learn. The NVIDIA® Jetson™ TX1 module addresses the challenge of creating a new wave of millions of smart devices – drones that don't just fly by remote control, but navigate their way through a forest for search and rescue; compact security surveillance systems that don't just scan crowds, but identify suspicious activity; and robots that don't just perform tasks, but tailor them to individuals' habits -- by incorporating capabilities such as machine learning, computer vision, navigation and more. Jetson TX1 is the 1st embedded computer designed to process deep neural networks – computer software that can learn to recognise objects or interpret information. This new approach to program computers is called machine learning and can be used to perform complex tasks such as recognising images, processing conversational speech, or analysing a room full of furniture and finding a path to navigate across it. Machine learning is a groundbreaking technology that will give autonomous devices a giant leap in capability. With its 1 TeraFlops of performance – comparable to the fastest supercomputer from 15 years ago – Jetson delivers exceptional performance for machine learning, computer vision, GPU computing and graphics, while drawing very little power. "Jetson TX1 will enable new generation of incredibly capable autonomous devices," said Deepu Talla, vice president and general manager of the Tegra business at NVIDIA. Ovum Principal Analyst Michael Azoff said: "Jetson TX1 is a significant advance in moving machine learning applications from research into the real world. It has uses that range from artificial intelligence-assisted robots, to advanced systems in automobiles, and to Internet of Things-connected intelligent machines. The ecosystem around Jetson will accelerate the transfer of AI from lab to real-world machines." Sertac Karaman, professor of aeronautics and astronautics at the Massachusetts Institute of Technology, said, "NVIDIA's Jetson TX1 is so powerful and easy to use, we decided to base MIT's robotics systems and science course around it. Our students will use TX1 for embedded vision, stereo reconstruction and machine learning, so their scale racecars will be able to detect and avoid obstacles. I'm excited with the possibilities that Jetson offers." Jeff Bier, president of Berkeley Design Technology, Inc., said: "Based on BDTI's independent analysis, the Jetson TX1 stands out in three respects. First, developing applications on the Jetson TX1 feels more like developing on a PC than like developing on a typical embedded board. Second, the JetPackTX1 installer makes it easy to install a system image on the board. Third, support for CUDA enables developers to use the GPU to accelerate their applications without having to delve into the complexities of GPU programming." · cuDNN is a CUDA®-accelerated library for machine learning. For both training and inference, it is compatible with many industry-standard frameworks, including Caffe, Theano and Torch. · VisionWorks™ is a CUDA-accelerated library and framework for computer vision. It is an implementation of the OpenVX 1.1 specification with additional NVIDIA extensions. · Support for the latest graphics drivers and APIs, including OpenGL 4.5, OpenGL ES 3.1 and Vulkan. · Support for CUDA 7.0. CUDA turns the GPU into a general-purpose processor, giving developers access to tremendous parallel performance and power efficiency. 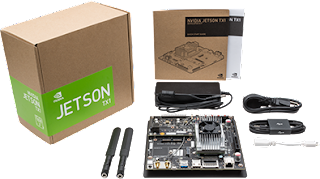 The NVIDIA Jetson TX1 Developer Kit can be pre-ordered starting November 12 for US$599 in the US, with availability in other regions in the next few weeks. 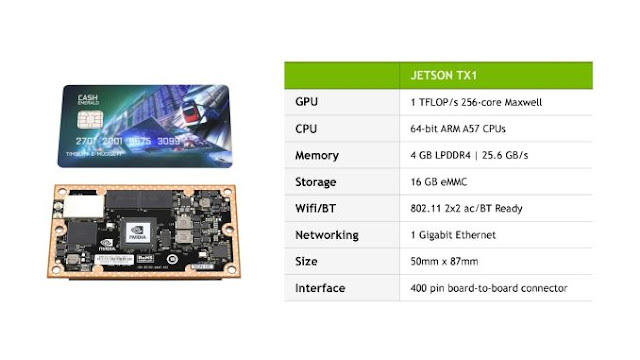 The Jetson TX1 module will be available in early 2016 at a suggested price of US$299 (in quantities of 1,000 or more) from distributors around the world. Subscribe to the NVIDIA blog, follow us on Facebook, Google+, Twitter, LinkedIn and Instagram, and view NVIDIA videos on YouTube and images on Flickr. Follow us on our social media account Fb.com/GizmoManila .